Baby yoga is my favourite class to take the twins to. It was the first class we managed to actually make and Janice was so wonderful, helpful and welcoming. She takes one of my boys during the class so I can have one on one time with the other. If I am lucky enough and one is asleep she takes the awake baby for me so I can have a stretch all by myself! For twin mummies this is such a gorgeous class and my boys are always so chilled afterwards. My boys also adore Janice and are quite happy to do a whole class with her’. We have also met some lovely friends. I wasn’t able to attend NCT and didn’t know any mummies until I joined her class through a recommendation of one of the Mums who I met in the post office. We haven’t looked back . Cost: £50 for a 6 week block of classes to be taken within 9 weeks. £1 0 drop in. (when your baby starts to crawl around and move a lot). Check with your GP at you and your baby’s 6 week check that you are both fine to commence yoga classes if you had a vaginal delivery. It is usually safe to commence classes at 12 weeks after a c-section delivery. 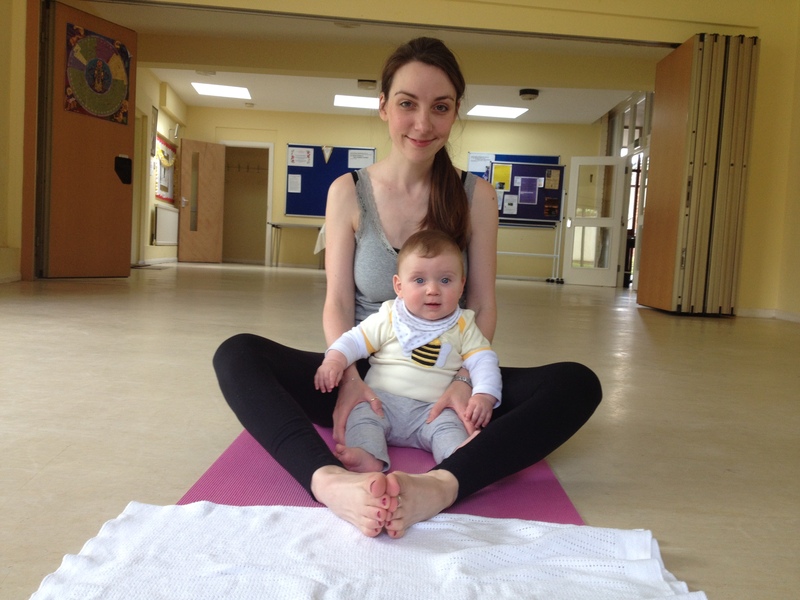 Classes consist of yoga postures for mum with emphasis on strengthening tummy muscles, back and pelvic floor and also includes baby movements with some massage and play. Please bring a mat. If you would like to try the class first you can borrow a mat from me. Please bring a blanket for your baby and their favourite toy.